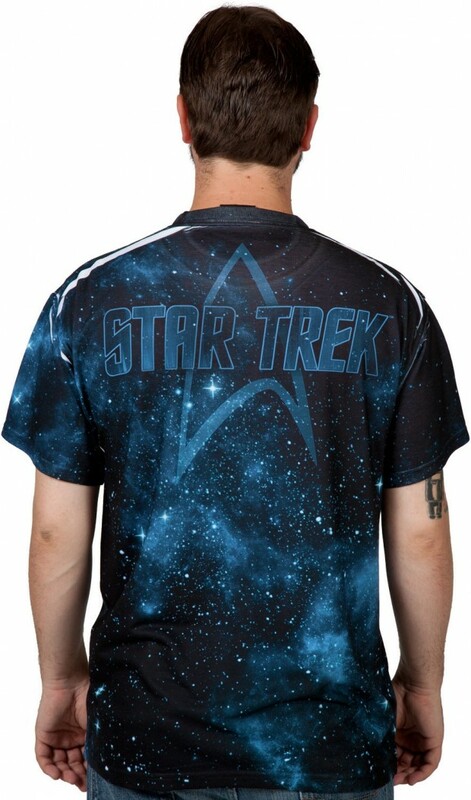 This Star Trek Sublimation shirt is one of the most beautiful shirts that a Star Trek fan can buy. I need this in my closet. 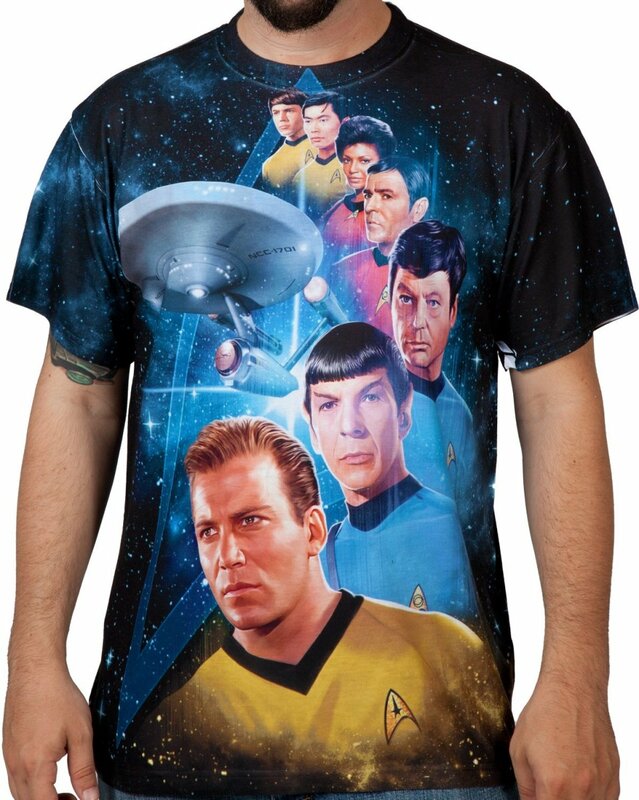 It shows the cast along with the USS Enterprise. The whole crew is here. Well, the ones we care about. James T. Kirk, Mr. Spock, Leonard McCoy, Montgomery Scott, Nyota Uhura, Hikaru Sulu, and Pavel Chekov. The colors look nice and vibrant.